Taoiseach Enda Kenny has begun a four-day trade mission in China today, one month after the Asian giant's leader-in-waiting paid a visit to Dublin. Mr Kenny arrived in Shanghai this afternoon for a series of events focused on trade and investment. He will then travel to Beijing for talks with Premier Wen Jiabao and Vice President Xi Jinping, who spent three days in Ireland in February. He said Ireland had been working hard to boost its image in China as it seeks investment as well as new markets for Irish goods to help the country emerge from a deep recession. 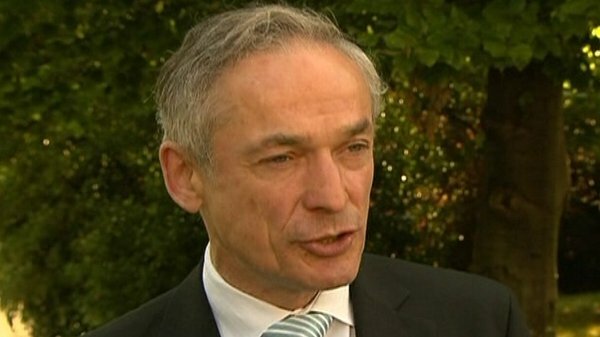 Irish exports to China reached €3.3bn in 2011, up 6% on the previous year. Most of these are accounted for by multinationals, but a report due to be published shortly by Enterprise Ireland suggest that exports by Irish owned companies grew much faster, by around 20%, to over €300m. 90 indigenous companies are taking part in the trade mission. Mr Kenny told the 90 companies taking part in the trade mission that China represented an enormous opportunity and that the Government and State agencies would help them to make the most of those. Mr Kenny said "we have greatly appreciated the positive signals from China in support of Europe's efforts to resolve the sovereign debt crisis." "There is no doubt that this has helped to stabilise financial markets and in the process made it much easier for us in Ireland to address our own problems," he added. Mr Kenny emphasised the similarities between China and Ireland, saying both are moving towards "a knowledge-based economy built on innovation and technology, and our companies have all the elements for working more closely together." The Taoiseach will also seek to boost the number of Chinese tourists in Ireland and to increase cultural links between the two nations. 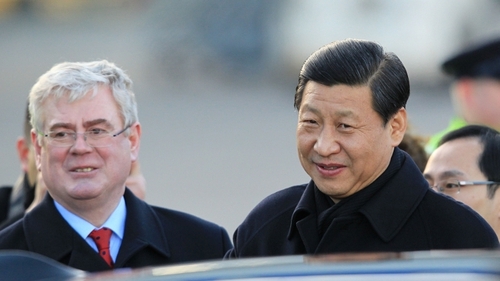 Ireland was the only EU country that Xi Jinping visited on his international tour last month. Although his stop was focused on trade, the Chinese vice-premier also took time to try out Gaelic football and attend a performance of Riverdance.